One out of 7 horses will be plagued with laminitis in their lifetime! A condition that can afflict pretty much any horse, here are the leading causes of laminitis that Paint Horse lovers should be aware of! 1) Excessive ingestion of fresh grass, grain or alfalfa. Incidences of laminitis are most prevalent in the spring when the grass is new and very rich and the nights are cold after warm days. Pasture grasses contains a sugar called fructans. 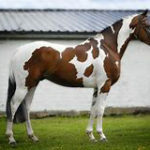 Excessive ingestion of fructans is thought to cause laminitis in some horses and the level of fructans is excessively high in the spring and fall of the year. Another contributing factor to feed-based laminitis is that modern feeding practices have changed the way horses eat, what they eat, and when they eat. Grains are much higher in sugar and starch, and lower in fiber than the native forages horses were meant to eat. The high sugar and starch content of grain combined with large meal size can contribute to obesity and laminitis, as well as a plethora of other health issues. Many experts agree that grain overload and the changes it causes in the hindgut trigger laminitis, although exactly how these changes restrict blood flow and cause inflammation of the laminae in the hoof is unknown. What we do know is that through smart management you can reduce the risk of grain overload in your horses. As for alfalfa, this hay is high in calories and it seems that horses who are prone to laminitis may be more likely to have a laminitic episode when consuming alfalfa. The general consensus seems to be that feeding 10% alfalfa with 90% grass hay is a safe ratio of alfalfa ingestion, although this may not be foolproof. There is growing recognition that obesity is common and represents a significant detriment to the health of companion animals in a manner similar to that by which it is affecting we humans. As is the case for other species, obesity appears to promote insulin resistance in horses, and it is through this pathophysiological process that many of the adverse medical consequences of obesity such as laminitis occur. 2) Colic, Diarrhea or other gastro-intestinal abnormalities. Many horses manage to survive a possibly life threatening case of colic, only to end up with laminitis. 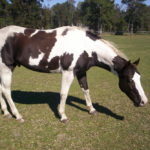 Laminitis treatment can take many months and many thousands of dollars, and still ultimately result in the death of your horse, even after they managed to be lucky enough to survive colic. 3) High fever and/or excessive stress (such as from over work or a move). Yep. Something as seemingly simple and innocent as one day’s too hard of a ride, or a move to a new location can result in a case of life threatening laminitis. Any time that a horse runs a high fever or has an infection, the risk of a laminitic episode is increased. 4) The use of Corticosteroids. 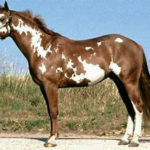 Steroids, or more specifically glucocorticoids (GCs), have been widely used in equine veterinary medicine for the treatment of noninfectious inflammatory conditions ranging from respiratory problems, osteoarthritis of high and low motion joints and skin conditions. The use of corticosteroids causes changes to the blood supply to the hoof, disruption to the interconnecting support tissues within the hoof and induction of insulin resistance. Fear of laminitis induction over recent years has resulted in lower doses or alternative medications being sought by some veterinarians. Special caution is recommended in horses who are overweight, insulin resistant or have suffered a recent laminitic episode. A dose that may be safe in a fit young racehorse, may result in problems in an elderly, overweight horse. 5) 90% of laminitic onsets are due to an insulin resistance or imbalance, and/or a metabolic disorders, and/or endocrine system imbalance. In a nutshell, most horses who contract laminitis are actually suffering a sugar imbalance similar to a type II diabetic. They have an insulin resistance and/or an endocrine failure or abnormality. For as long as I’ve been around the standard protocol of treatment for laminitis has remained the same… which typically consists of a diet change, a hoof treatment change and drugs. Yet with this being the ongoing standard protocol of treatment for laminitis, laminitis has still remained the 2nd leading cause of death for as long as I have been in the horse world. Now we have learned that it is most often (90% of cases) derived from a metabolic imbalance and most importantly – an insulin resistance or imbalance. In my decades of studying nutrition I have learned that one of the easiest things to balance and correct using natural supplements is proper insulin production and utilization, AKA managing and balancing sugars in the blood stream. Whether diabetic or hypoglycemic, one can have a tremendous impact on balancing either imbalance with natural supplements. They are easy to use and monitor, and are safe and super affordable!